Microsoft has released Release Candidate version of Windows 7 Service Pack 1 and Windows Server 2008 R2 Service Pack 1 for users running the final RTM version of the respective operating systems. Previously it was believed that the software giant will release RC bits to public at the upcoming Professional Developers Conference (PDC 2010). You must currently have the RTM version of Windows 7 or Windows Server 2008 R2 installed before you install the Release Candidate bits of both Windows 7 SP1 and Windows Server 2008 R2 SP1. You must also uninstall any Beta version of Service Pack 1 before you proceed with installing the newly released Release Candidate build. Android 2.3 is the next major release, but is this Gingerbread? According to anonymous Google engineer the next major Android OS release is 2.3. But could this really be the long rumored Gingerbread? The bomb was dropped in a support theme on the Google Code forums, so the source is reasonably trustworthy. Apperantly 2.3 is the next major Android version, but this doesn’t necessary mean it will be the Gingerbread. As you know both Android 2.0 and 2.1 are Eclair, so 2.3 could be easily another Froyo release. We’ll wait and see how things unfold, but it seems Android 3.0 is not as close as we thought. Firefox has been my web-browser of choice thanks to the stable performance and customization possibilities it offers, in the quest for having a faster web-browsing experience with Firefox I had tried reducing tab-overload, optimize memory usage and even trying an CPU optimized version. SpeedyFox is yet another free utility which promises to make your Firefox start-up upto 3 times faster with faster loading of browsing history and operations with Cookies. What SpeedyFox does is that it optimizes fragmented SQLITE database files which are used to store your Firefox data resulting in faster overall experience. India recently got a symbol for the currency Indian Rupee. Though there are several fonts for the Indian Rupee Symbol, none of them have been integrated into any operating system yet. However, there is a specialized keyboard for the Indian Rupee symbol. Ubuntu was working on the Ubuntu Font licensing, and now that it has been approved, they have already uploaded it to the archive. However, the good news is that it gained the Indian Rupee Symbol recently and will now be available by default in the upcoming Ubuntu 10.10. So if you have been waiting for Ubuntu 10.10, here is another reason to shift to it. Linux has always been the geek’s favorite operating system. However, times are changing and Linux is now being promoted to suit the everyday user. Linux has its own share of pros and cons but the tide seems to be turning in its favor, as hardware vendors are starting to ship their systems with Linux pre-installed (a tactic to save OS costs). Curiosity about Linux is on the rise among computer users and the debate is on whether or not to make the switch to Linux. In order to ease the confusion a little, here are the top ten reasons as to why you need to switch to Linux today! 1) Security: Linux is based on the rigid UNIX Operating system, which is famous for its strict User Permissions feature. Linux incorporates this feature into its core and this makes it virtually unbeatable in terms of security. The majority of viruses/malware on the internet are targeted towards the more popular Windows operating system, and they are useless against any Linux system. Thus Linux is the safest platform to browse the internet and use software applications. 2) Free as in beer: The phrase “Free and Open-Source Software”(FOSS) is often confusing to some people, and to avoid this confusion, the community came up with the meaning of FOSS as Free as in freedom, not free as in beer. However, Linux is “free” no matter how you see it. Most Linux distributions are completely free of cost and you can download them immediately without paying a dime. Compare this to Windows and Max OS X, where you end up paying hundreds of dollars and still come up with problems every now and then. 3) Speed: One of the most popular flavors of Linux, called Ubuntu, boots up in just ten seconds. That’s right, all it takes is ten seconds from the power-up screen to reaching the desktop. This level of speed is unheard of in other popular operating systems. Linux races ahead in terms of performance speed as well. While Windows is famous for getting stuck innumerable times, or getting slow due to many active processes, Linux plows through such problems easily and offers its users a smooth session every time. Even after using it for five-six months with a large number of programs installed, Linux doesn’t show any difference in speed. 4) Hardware-independent: This is yet another selling point for Linux. No matter how old your system is, or what kind of hardware it is built from, you’ll definitely find a flavor of Linux ready to run on it. There are custom-made Linux flavors (called distributions) which are designed to support old hardware and run with minimum memory and hard disk requirements. This is a boon for people who cannot afford to buy the latest hardware in order to run the latest versions of their favorite OS. 5) Robust Platform: Linux isn’t 100% crash-proof but finding a user who faces crashes regularly is a very rare thing. Unless the user is running some unstable code/application, there won’t be any instance where the system crashes suddenly. This is the main reason why large corporations prefer to use Linux for running their servers. 6) Excellent community-support: Linux is backed-up by a huge community full of active users helping each other on the way. New users will undoubtedly have many questions on how to use their new Linux OS seamlessly. They can get their doubts cleared at one of the many forums providing free support. Anything, ranging from trivial installation issues, to developing a custom-built OS, can be queried about here. 7) Spoilt for choice: Linux is all about choices. There are many distributions to choose from, and each distribution may have a number of variations, such as 32-bit, 64-bit, desktop edition, server edition, and there’s almost always the choice of choosing between two popular desktop environments, known as GNOME and KDE. So many choices might seem daunting to the new user, but they actually help improve the experience for new users, who can choose the variant that suits them the best. 8) Learning about new environments: When Linus Torvalds first created Linux, he never expected that it would become one of the most intensely-researched operating systems ever! There are thousands of developers all over the world hacking (not that hacking!) into the Linux kernel trying to make useful changes and improve the experience for the whole community. While regular users need not bother about coding or such, they will automatically get to learn about using different kinds of environments. Using Linux means learning small tricks that make it a fun experience. This doesn’t mean the users need to pore over endless tutorials to use Linux; they will learn these tricks as they get used to the environment over time. 9) Encouraging open-source software: Open-source software is touted to the future of the software industry. While not every developer would like to release their software free of cost, making the source-code open would definitely help in stabilizing the software. Encouraging users to use Linux would help support the cause of open-source software in a large way. 10) Free as in freedom: This may not seem much to new users, but for those with programming skills, Linux proves to be a gold-mine because it comes along with the source-code, and the users are free to modify it as they like and re-distribute it as well. This is a unique feature of open-source software and Linux utilizes it in a huge way. Each of these reasons could be expanded into a novella-sized article, but the purpose of this article is to give you ten quick reasons for switching to Linux. Now that you’ve got them, why not consider giving it a try? Discover the freedom of using Linux and you’ll soon wonder why you didn’t shut down your Windows earlier! Facebook may be looking to update its commenting system with a slew of very important features, including threaded comments, voting and a couple of others. All Facebook has a screenshot (below) which shows these features in action. We don’t know the origin of the screenshot, but Facebook may be testing the new features on a small subset of users, as it often does. If the screenshot is genuine, it’s extremely interesting; the new features have the power to transform Facebook’s commenting platform – which is currently a very simple affair – into something far more advanced. Threaded comments are a great addition; many blogs, including Mashable, have switched from a single-threaded to a multi-threaded commenting system and never looked back. The ability to see some extra info about the user that left a comment, including his comment count, is obviously quite useful, too. But the really big news is the voting system, which gives users the ability to rate a comment positively or negatively, similar to Digg’s voting system. The votes result in a comment rating, which can be really useful if Facebook plans to introduce a comment moderation system based on the ratings later on. What do you think about these new features that may be coming to Facebook commenting system? Secure Folder is yet another great alternative to inMend Folder Hidden and My LockBox, allowing users not only to lock and hide folders but also providing an option for encrypting data with well-known secure AES Encryption algorithm for maximum security. Allowing protection for unlimited number of folders in seven different protection modes the free utility is compatible with Windows 7, XP, 2003, 2008 and Vista, integration with Windows Explorer is also provided for fast locking and unlocking. Most of us use pen drives and now it has become a part of the tool kit. We use it most often on our friends computer or public Internet cafe’s, so chances of getting affected by virus are more. Today with these top four tools you can prevent against the virus from USB drives. I can see more people asking about how to Protect from the pen drive virus in many help threads and forums. Mostly they are affected by viruses like autorun.inf , new folder.exe , Bha.vbs , Iexplore.vbs , Info.exe , Ravmon.exe , RVHost.exe and etc .. These are the common viruses which affect most of our Usb drives. Finally with the help of these 4 tools you can remove the viruses and it acts as a Antivirus solution for Usb drives. 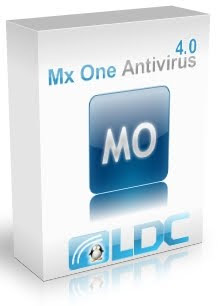 Mx One is a FREE Portable Antivirus Solution that includes an installer for USB devices. Mx One uses a very professional looking and intuitive GUI. Mx One is an antivirus designed for protect the devices of extraible storage like memoirs usb (also well-known as pen drives), iPod., mp3, mp4, memoirs M2, SD, microSD, Between many but devices in an effective and totally gratuitous way. iKill can prevent the spread of Viruses from Pen Drives and deletes the viruses stored in the drive automatically. It scans the removable drives and deletes the autorun and virus files on its own.If Auto Protect is enabled, it will automatically delete the harmful files present on the drive but if it isn’t enabled then it will ask the user what to do.It is a freeware and very small in size. The tool is surely capable of saving us from infections stored in the Pen Drives. USB FireWall from Net Studio is a tool that will stop the execution of all the malicious programs whenever an external drive is attached. The application runs in background task and alerts you immediately in case of try of intrusion. It is specially designed for the Autorun.inf virus and warns you if the drive have one. You can now delete it from the USB without opening it. 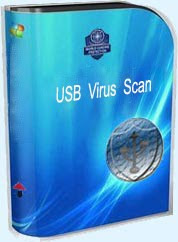 USB Virus Scan provides fully USB security solutions , it not only allows you to gain full control of every usb port, but also provides 100% protection against any malicious programs trying to attack via USB storage.All data in your computer and usb drives will get fully protection. Therefore safegaurd yourself from chances of getting infected by the virus and Automatically kill those viruses using the above mentioned tools. After Apple relaxed its App Store restrictions, the first of apps that benefitted from this were Google Voice clients (like GV Connect and GV Mobile+) and now, a BitTorrent-based torrent managing app called IS Drive has been approved for the App Store. The app, previously known as Jack Torrents, was available under Cydia for jailbroken iOS devices. IS Drive allows users of ImageShack’s torrent service to manage their torrents from an iOS device. IS Drive is an ImageShack Premium-only service for now, but the thing that makes the approval of such an app so colossal is how Apple simply refused to allow BitTorrent-based apps in the past. Apple would just say, “Because this category of applications is often used for the purpose of infringing third party rights. We have chosen to not publish this type of application to the App Store” and simply close the gates to the App Store for your torrent-managing app. This app allows you to check and manage the downloads in your ImageShack Drive account. For downloaded videos, you can even view thumbnails (if ImageShack is able to provide them). I’m on dangerous ground here, and I know that, I’ll probably add a search feature where it’s up to the user to manually add the torrent site they want. The app will not be designed to easily break the law and I hope no one intends to do so. But if a user is determined to break the law, what business is that of mine or Apple’s? They could do the same in Safari anyway, right? We agree with you Derek. IS Drive is available for download now at $4.99 from the App Store from the link given below. If you want to manage your uTorrent downloads, you can use BitTorrent’s iOS web interface. First of Apple TV reviews are now all over the web. The iOS-based media streaming device, which will be jailbroken in the future, uses iTunes, YouTube, Netflix (as well as Flickr / MobileMe) to bring you video content right in your living room. It costs a magical $99 and releases this week. The review itself is quite detailed, but the conclusion pretty much perfectly summarizes the Apple TV. A lower price, a more compact design, and the ability to stream content from iOS devices and rent 99-cent TV shows makes Apple’s latest Apple TV set-top box an excellent option for iTunes and Netflix users. PC Mag editor Tim Gideon also goes hands-on and walks through the entire interface and user experience in the video embedded below.